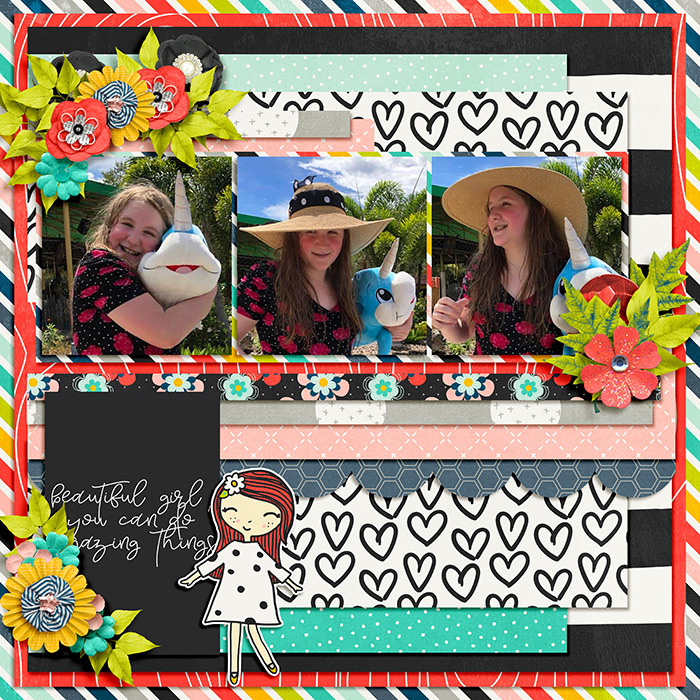 Hello there, Stefanie here again with a gorgeous new collab by Amanda Yi Designs and Juno Designs. I am delighted to see these two amazing designers collaborating again. This week it is The best version of you. best version of you kit. The Best Version of You, is inspired by self-confidence! Make things happen in your life – you have the potential to create your own story. 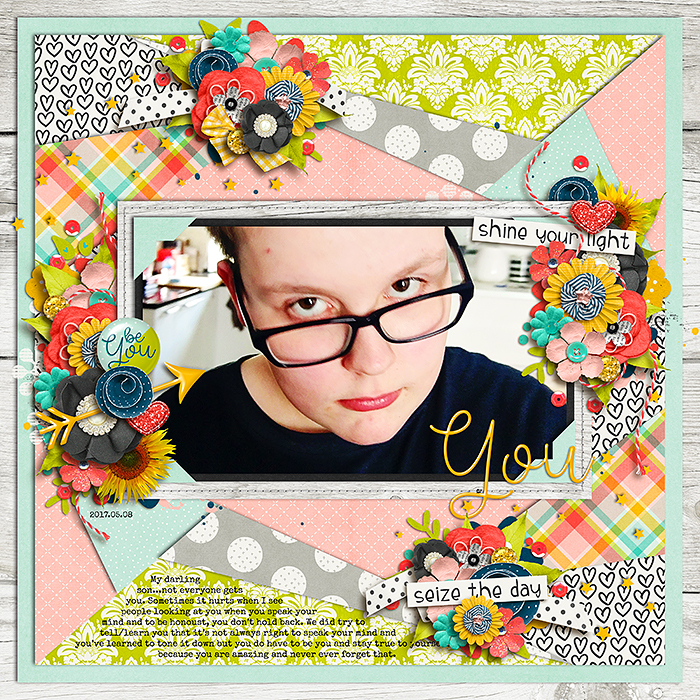 This versatile kit is chock full of fun and inspirational elements and words to create so many different kinds of layouts. Be fierce and dream big to be the best version of you! JOURNAL CARDS: 14 journal cards in both horizontal and vertical orientations.